Building a Culture of Belonging in the Workplace: Attract Talent and Foster Success. Research shows that a diverse workforce ignites creativity, innovation and business results, while diverse and inclusive workplaces outperform their competition. However, tapping the potential of our diverse workplaces is only possible when employees are actively included and feel they belong. A culture of belonging adds brand identity to businesses. Furthermore, talent attracts talent – culturally diverse talent who feel they belong act as ambassadors for the organization to their peers. How does an organization build a culture of belonging – especially within diverse teams? Policies alone are not enough to make it happen. What works and why? 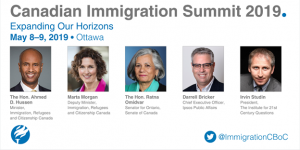 Hire Immigrants Ottawa, The Ottawa Board of Trade and Chartered Professional Accountants Ontario invite you to join a panel of experts, employers and skilled immigrants who will share their experiences and strategies on how to build and foster cultural inclusion and belonging within diverse workplaces. 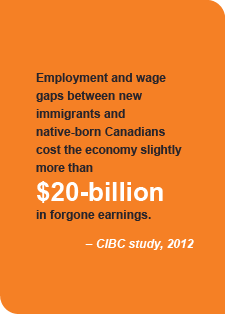 Network with other businesses and with skilled immigrants. AUDIENCE: Employers, Small to Medium-size Enterprises, HR Practitioners and Managers. 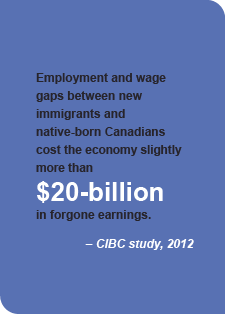 For additional information, please contact Lorena Costa at events@hireimmigrantsottawa.ca or 613-228-6715.